Our wedding envelope seals are designed to match your wedding invitations. They are perfect for weddings, anniversaries, birthdays, graduations and all your other events. Transform your wedding stationery, invitations, thank you cards and greetings into lasting memories with wedding seals. Wedding Seals are the quick and simple way to complete your invitation envelopes, they're also a great way to personalise favour boxes! Wedding envelope seals are really easy to apply, there’s no glue required, just simply peel off the backing paper and apply it to your envelope. Pay just €50 deposit now and you can decide on the quantity after you see your beautiful design. 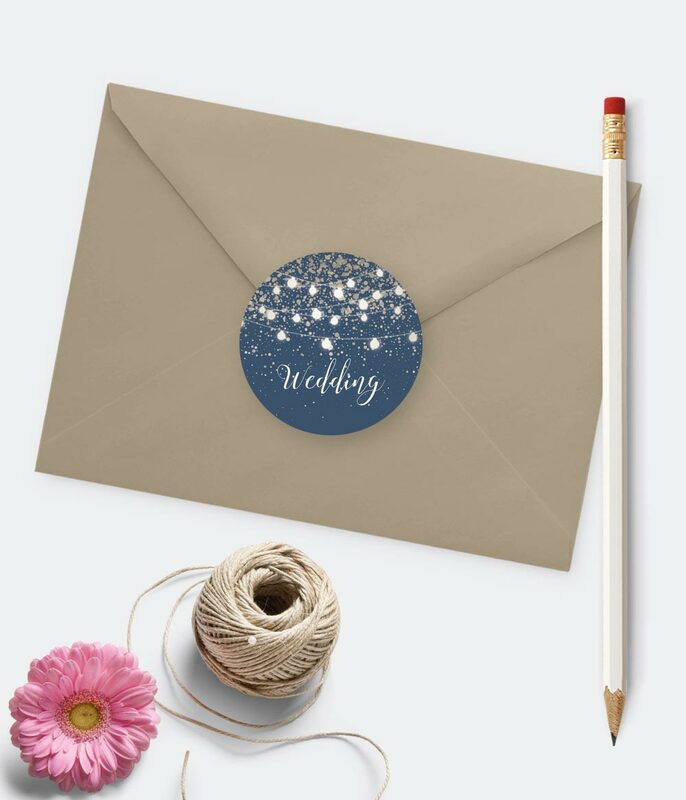 Our wedding envelope seals/stickers have endless possibilities for adding your personal touch from bridesmaid gift stickers or the packaging for favours or even wine labels. create your own designs please contact us. If there is a particular size you need that is not a problem, we can create wedding seals in most sizes. Our Envelope Seals are supplied on a single A4 sheet and are easy to peel off. All prices include graphic design.